Rebecca grew up close to the Indian reservation where her parents were missionaries. Although she understood the power of Jesus Christ, after the murder of her best friend, she turned to Indian spirits for protection. As frightening as some spirits were, others seemed almost friendly. In fact, she thought God sent His angels to comfort her in her loneliness. Believing lies and accepting demons as her spirit-helpers led to suicidal thoughts and left her wondering if she really was insane. Teachers and pastors condemning her to hell raised more questions and doubt about who God was. Was there any hope of freedom from the spirit voices in her head? Could she escape the demons that terrorized her with their presence? Was she doomed to insanity? Then a stranger dared to care. Hope, like a tiny seed, took root as she began to see God’s grace through others who surrounded her with love. 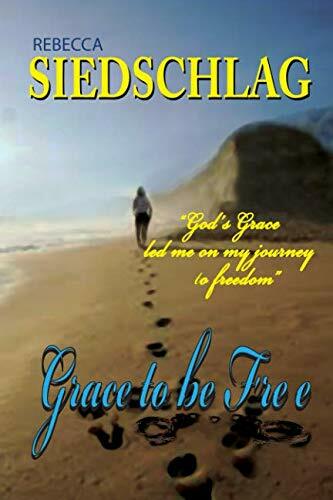 It wasn’t long before she realized it was God’s grace that was leading her on her journey to freedom.